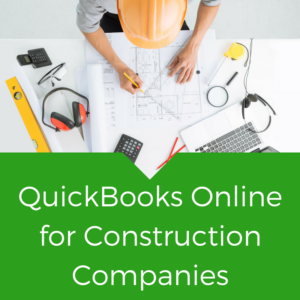 Can I Use QuickBooks Online for Construction Companies? If you are a construction company owner who has been told that QuickBooks Online won’t work for your construction company, you may want to take a second look. There are still quite a few accounting professionals who tend to think of QuickBooks Online in the same way as they view the QuickBooks Desktop software package. Don’t get me wrong, QuickBooks Desktop is still a powerful piece of software and it is still being improved upon by the great folks at Intuit. However, to truly understand QuickBooks Online you have to understand the idea of SaaS, cloud computing, and app integrations. No, it’s not the lip that you used to give your mom and for which you were sent to bed without your supper. SaaS stands for Software as a Service. QuickBooks Online is designed to be run from the cloud and one of the major benefits of this cloud computing model is the ability for QuickBooks Online to integrate fairly seamlessly with other cloud-based apps. Cloud computing and SaaS programs – “apps” – are really the future of small business management. Why, you may be asking, does this matter to me in terms of my construction business? Back to our original proposition – if anyone has ever told you that QuickBooks Online just doesn’t have enough features for you to properly manage your construction business then you should know that they are right. Yep. 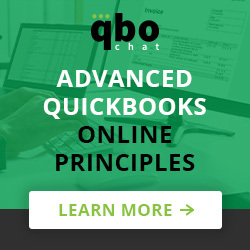 As a Construction Accounting Specialist, I would say that the majority of construction companies (of any size) should really not attempt to manage their construction business accounting solely through QuickBooks Online. But, the beauty of app integrations with other cloud-based software is that now you can take your accounting software – QuickBooks Online – and link it directly to your project management software – for instance, Knowify – and have all of the integrated project management and accounting data be magically imported into QuickBooks Online without having to do any manual data entry from one program to the other. Think about the ramifications of that for a second. Just a few short years ago the various aspects of running a construction company were broken up into various parts – estimating had their software tools, project managers had their software tools and accounting had their software tools. All of these various software systems operated independently of one another. So estimating would work on an estimate (say they put that together in a spreadsheet program.) Now they have to communicate that information to the project manager and to accounting – both of whom enter the same data all over again into their respective project management and accounting platforms. As the project progresses, the project manager has to communicate with accounting information about project costs, time and materials, what portion of the job is complete, and so on and so forth. Now, step into the world of cloud computing, Knowify and QuickBooks Online. With these two powerful tools integrated nearly every step of a project – no matter how complicated – can now be managed in one simple tool. Accounting still has the ‘back end’ system of QuickBooks Online for maintaining non-project related items such as payroll and bank reconciliations, but everything pertaining to the projects is now flowing through the one, easy to use system of Knowify and the accountant never has to do double data entry work to make sense of the numbers because Knowify pushes that information into QuickBooks Online without even having to click a button. Estimating enters their estimate directly into Knowify using as much or as little detail as necessary. The Project Manager can manage every piece of the project from scheduling to materials invoices to billing right within Knowify. All along the way, every detail that needs to post to QuickBooks is posting to QuickBooks for the accounting department, who can see every piece of the accounting puzzle as it pushes into QuickBooks. In the end, financials, job costing, and other reporting tools can be accessed much more quickly because there is much less time between when something happens out on the job and when it is accounted for in the books. So the next time that someone tells you to stay away from QuickBooks Online because it isn’t the right tool for the job, remind them that a drill with no bits is never the right tool for the job either! To learn more about Tonya Schulte and how her company, Schulte and Schulte, can help you construction company as leading construction bookkeeping specialists in the industry, contact them today. Tonya is not your stereotypical dark back room, pencil pushing bookkeeper. Her nimble fingers and equally nimble mind, along with her tech savvy style, quick wit, and construction accounting acumen all join together to aid Schulte and Schulte clients in scaling their construction contracting businesses in real time. If you want to make her happy ask her about her 3 children . . . or offer her a piece of chocolate. Thank you for this article. I am in process of adopting BuilderTrend. I see you talk about Knowify, I wonder if you looked at BuilderTrend in comparison to Knowify – comments? I do know quite a bit about BuilderTrend and how they compare. The differences have to do with what is more important to you in your project management software. If you need detailed job costing and internal reports then Knowify is king. BuilderTrend doesn’t really do any traditional job costing and if you are looking for that in QBO, the main piece still missing is direct labor costing, so you will have to use some form of a workaround to get accurate job financials. On the other hand, if gantt chart style scheduling and customers being able to log in to make choices and communicate to you is most important, then BuilderTrend does those things better. Knowify doesn’t have any type of customer portal. They do have scheduling, but no gantt chart. Also thx for informative article. I would like to set up qbo for a client who is a developer (owns all or part of project) and a contractor (owns 0%). I am researching an add-on to help the owner manage these projects. He needs something user friendly. I am hoping to set it up to manage job cost + vendor contracts + bank draws. Can you recommend an add-on for us? I would look into Knowify for this as you can definitely manage the job costing, contracts and progress payments there. Knowify would be the most user friendly for sure. The interface is clean and easy to understand and not as complicated as some others. You may also want to look into Corecon. Corecon definitely packs a punch for the price – they are a great value for all the detail that they offer. However, I will note that they are not as user friendly. There is a bigger learning curve with Corecon. Either would be a great app to use. It all depends on what is important to you. 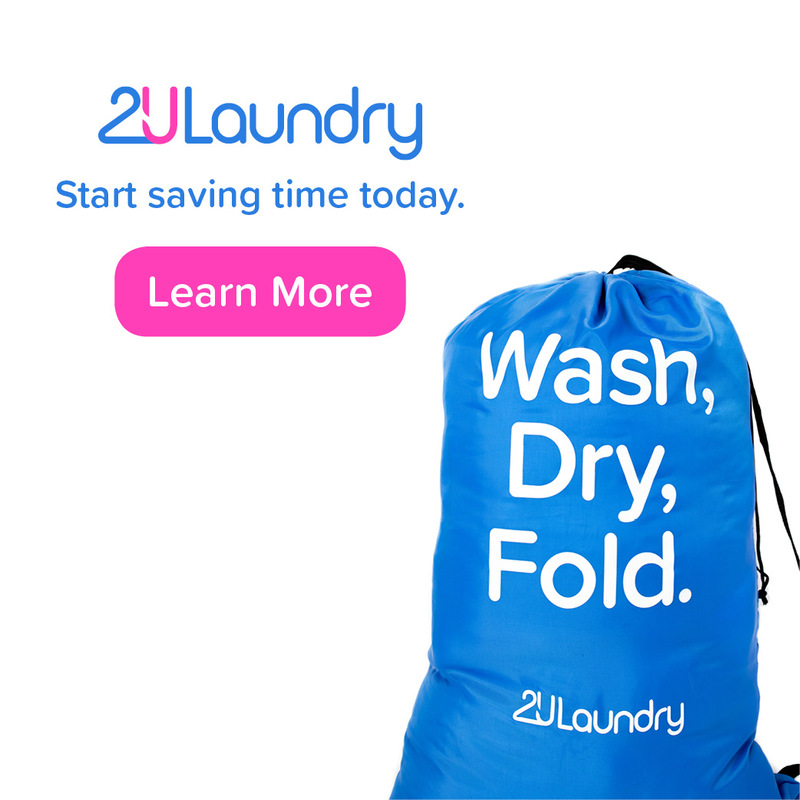 If you’d like I can set up an introduction for you to get a demo for both products. Just email me at tonya@schulteandschulte.com and I can put you in touch with their demo teams! My uncle has a construction company and he is also interested to use quickbooks online. I think that quickbooks online is really a great tool for construction companies. Thanks for sharing this article.